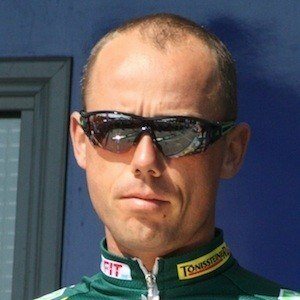 Cyclist who is widely regarded as one of the greatest cyclo-cross racers of all time, having won the UCI Cyclo-cross World Cup five times during his illustrious career. Additionally, he is a five-time Belgian mountain biking champion and two-time Olympian. At age eight he began racing BMX, in which he won eight national titles before switching to cyclo-cross. He was named as the Belgian Sports Personality of the Year by Het Nieuwsblad in 2006. He was married to a woman named Isabelle from 2002 to 2014. He has a child named Thibau. He and fellow Belgian Mathieu van der Poel are both UCI Cyclo-cross World Champions.